American Golden-Plovers continue onTurtle Bay Road in the Black Dirt Region. John Haas had 4 there early in the day yesterday, Rob Stone and Curt McDermott had 15 late in the evening, and I made a quick stop there this afternoon at around 4:30 to find 10 American Golden-Plovers still present. 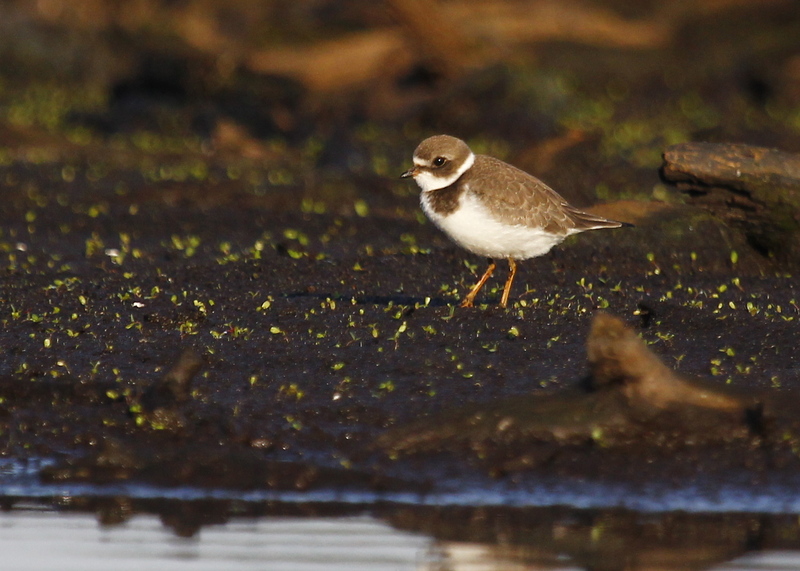 Also present were approximately 25 Killdeer and 1 Spotted Sandpiper. Again the birds were just too far out for any kind of photos, so that’s two posts in a row with no pics! Good Birds – No Photos. 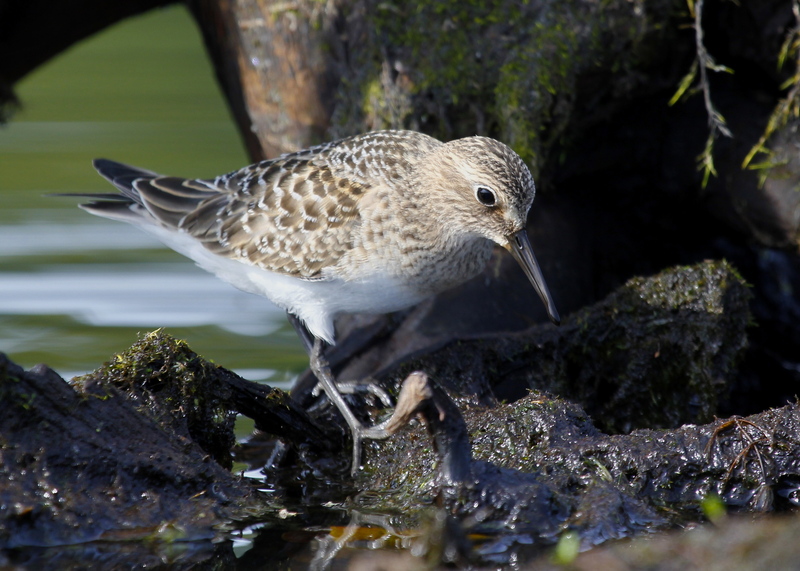 Tonight at Skinner Lane I had two UPLAND SANDPIPERS. 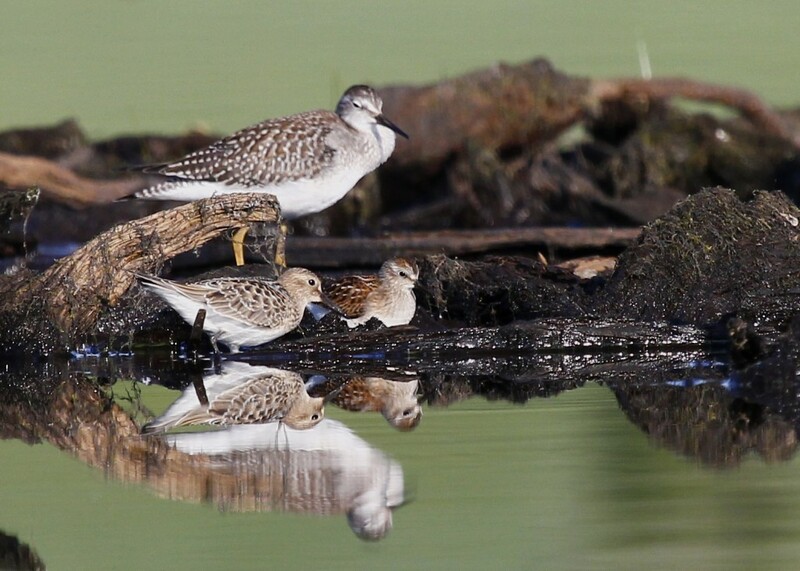 Unfortunately, the birds were out too far for photos, so you can click here for the Cornell Lab of Ornithology page on Upland Sandpipers or here for Google images of the bird. I went out birding on this rainy day in search of the Willet that Rob Stone had found the day before at Wallkill River NWR. I actually ran into Rob at the refuge where we walked the loop but had no luck with the Willet. From there I headed over to Skinner Lane. 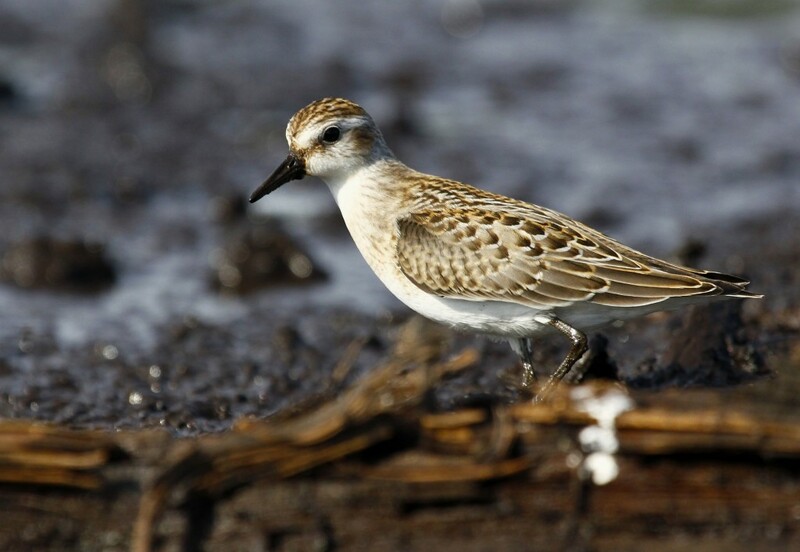 There was not much going on in the field that has recently had the pools of rain water, just some Killdeer and what I’m thinking were Least Sandpipers. A few fields later on the left side I saw a couple of interesting looking birds. 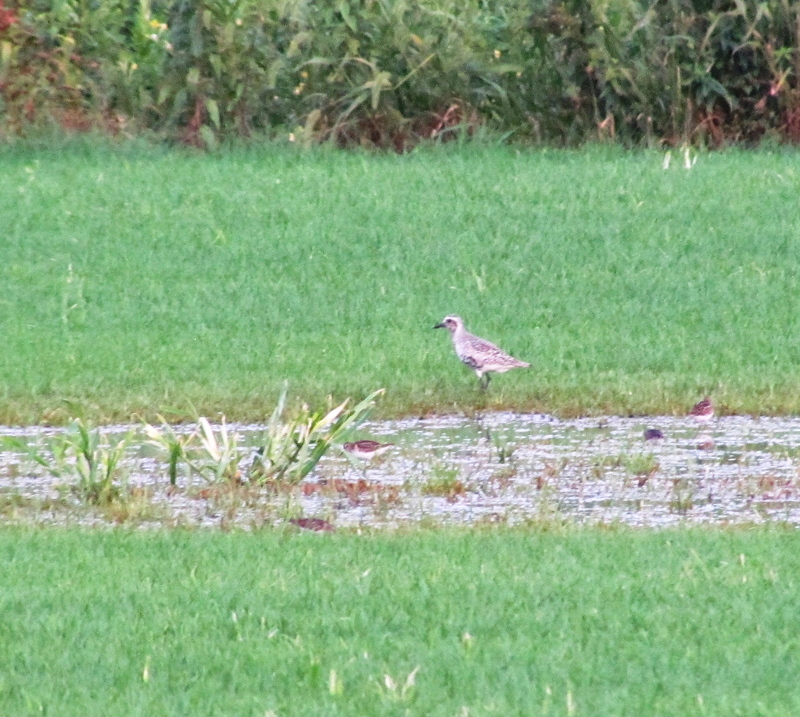 When I got my scope on one, it appeared to be an Upland Sandpiper, with its long neck, shortish bill, and small head. It was walking in the short grass along the edge of longer grasses, ducking into the longer grasses from time to time. 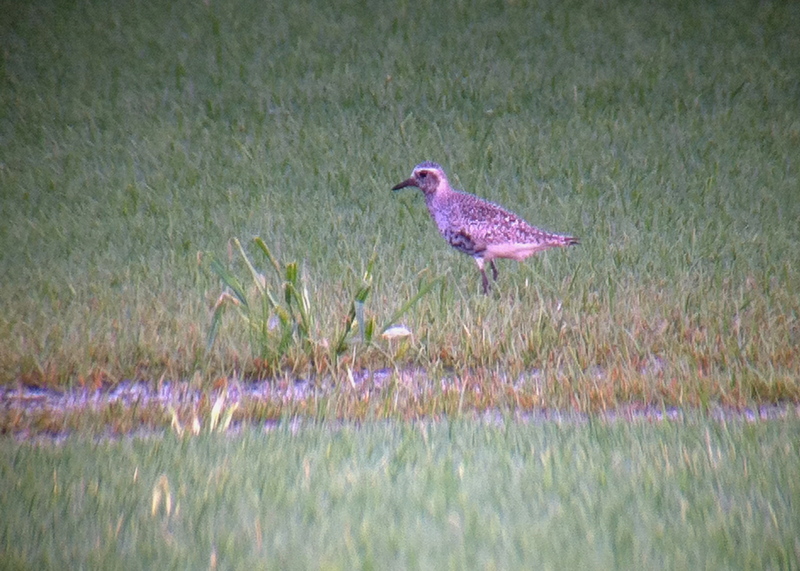 Rob Stone showed up after a while and enjoyed good looks at the bird and then and located a second Upland Sandpiper. Awesome night for me – life bird! 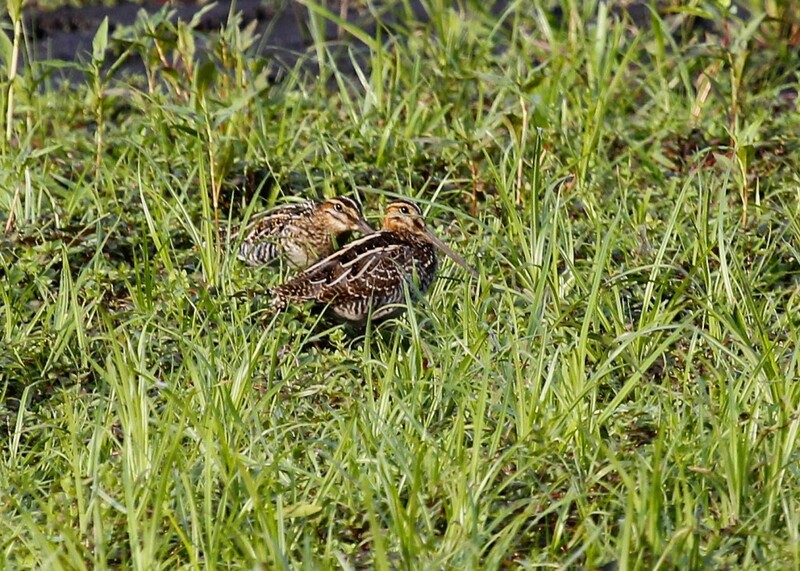 Author mattzeitPosted on August 28, 2013 Categories Orange County, Rarities, Walking Waterbirds3 Comments on Upland Sandpiper! 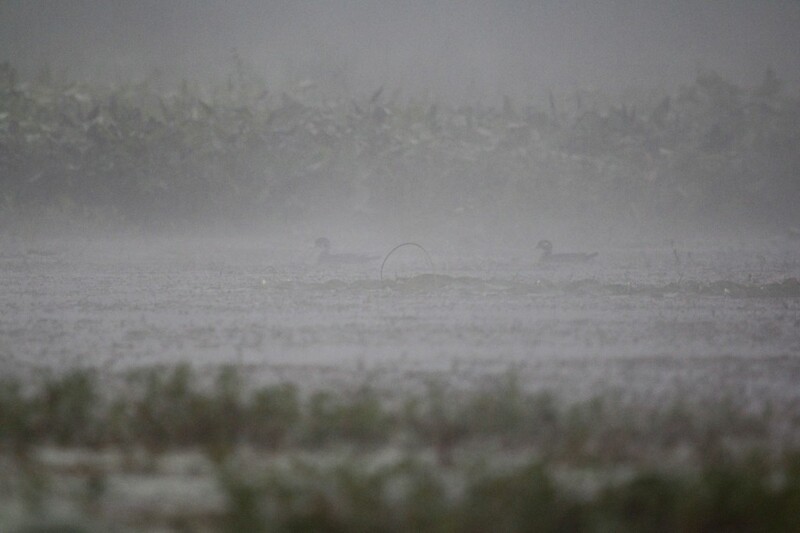 A pair of Wood Ducks through the fog. Basha Kill WMA, 8/25//13. 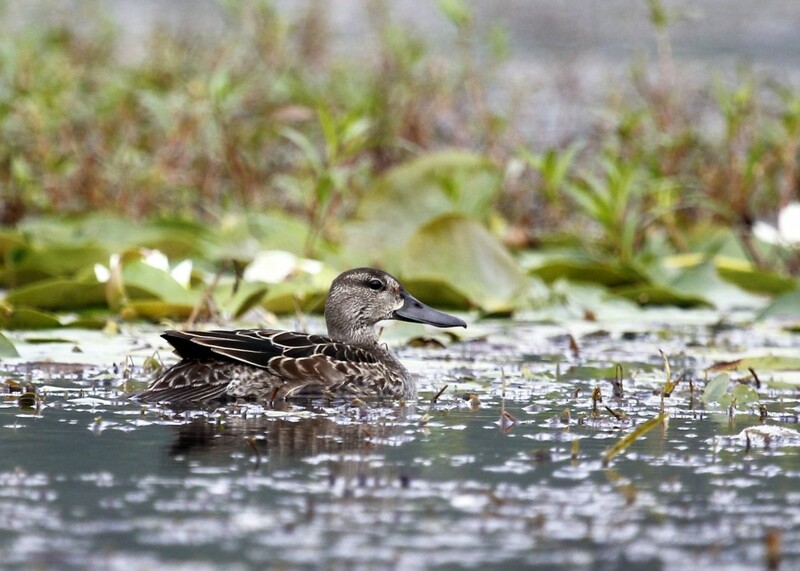 Blue-winged Teal in the channel at the Basha Kill, 8/25/13. 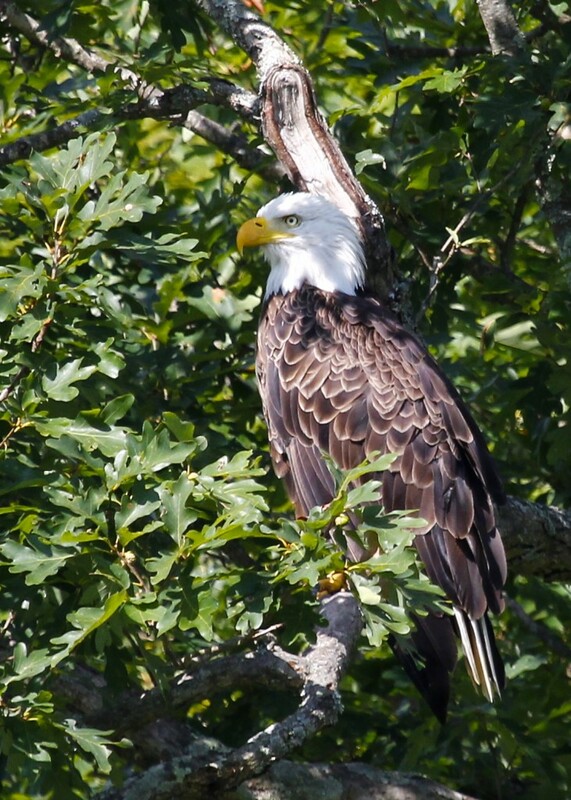 Adult Bald Eagle, Basha Kill WMA 8/25/13. 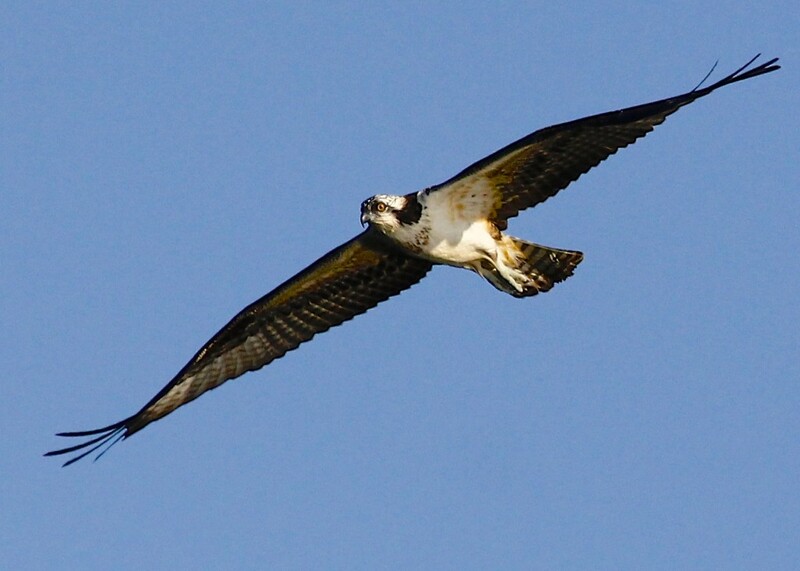 Osprey in flight. Basha Kill WMA, 8/25/13. 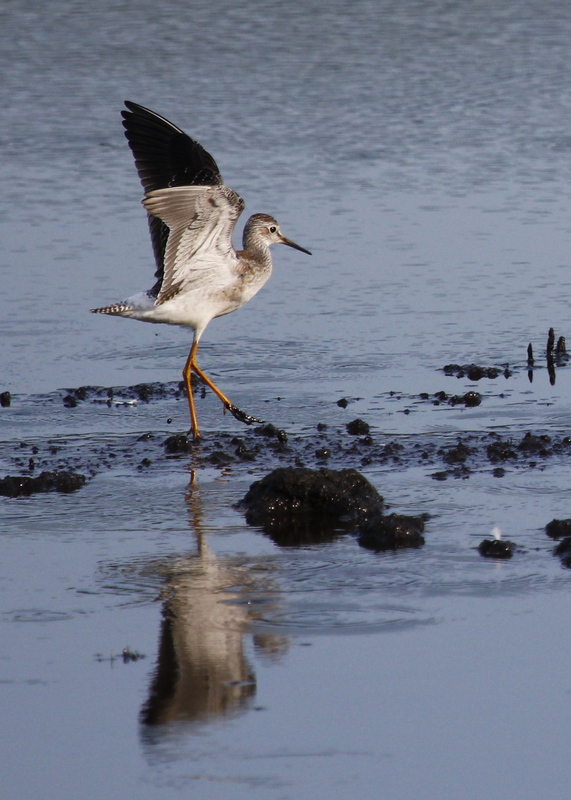 A Lesser Yellowlegs shifts position out at Wallkill River NWR, 8/22/13. 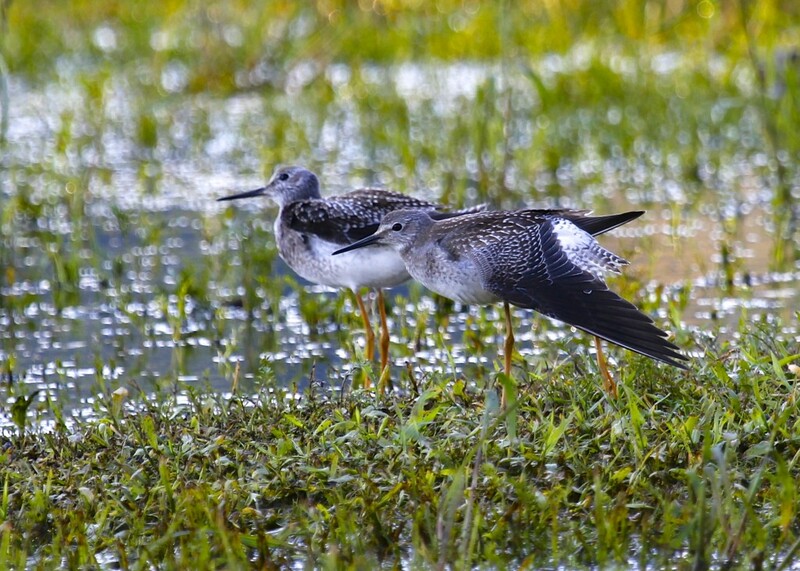 A pair of Lesser Yellowlegs at Wallkill River NWR, 8/22/13. I could have taken a ton of photos of the Lesser Yellowlegs as they shifted positions in the water not far off the trail. Two distant Wilson’s Snipe in the grass. Heavy crop here, but a really nice bird to see. I love the pattern on the back. Two of the four American Golden Plovers (with 3 Killdeer) after being flushed by farm machinery. Pine Island Turf Nursery, 8/24/13. A final note: I had a few minutes in the early afternoon, so I cruised by Skinner Lane and again struck out. 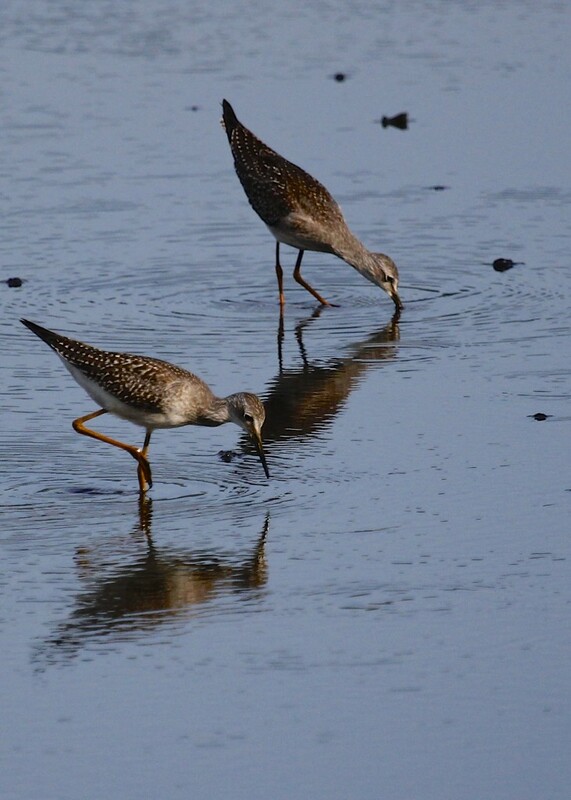 I also went to the Camel Farm where I had a single Greater Yellowlegs. My final stop was at the viewing platform at Wallkill River NWR, where I did not see any shorebirds but had 7 Great Egrets and 2 Green Herons in my very brief visit. 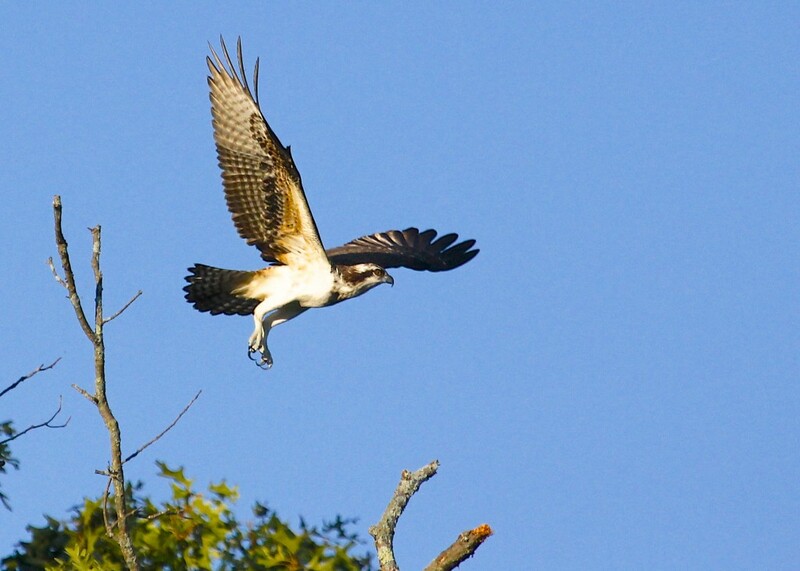 Osprey in flight over Winding Hills Park, 8/11/13. Last Sunday, Tricia and I went for a paddle in the kayaks to Winding Hills Park in Montgomery NY. We like to go there for a relaxing paddle; it is very beautiful and the sunsets can be amazing. For birding, it is usually not that great – there is usually at least one Great Blue Heron Present and we have had Spotted Sandpipers there from time to time. Eastern Wood Peewees can be heard and sometimes seen, and Tufted Titmice and a number of other song birds can usually be counted on. On this day, as soon as I got out of the car the first thing I noticed was an Osprey fishing on the lake. 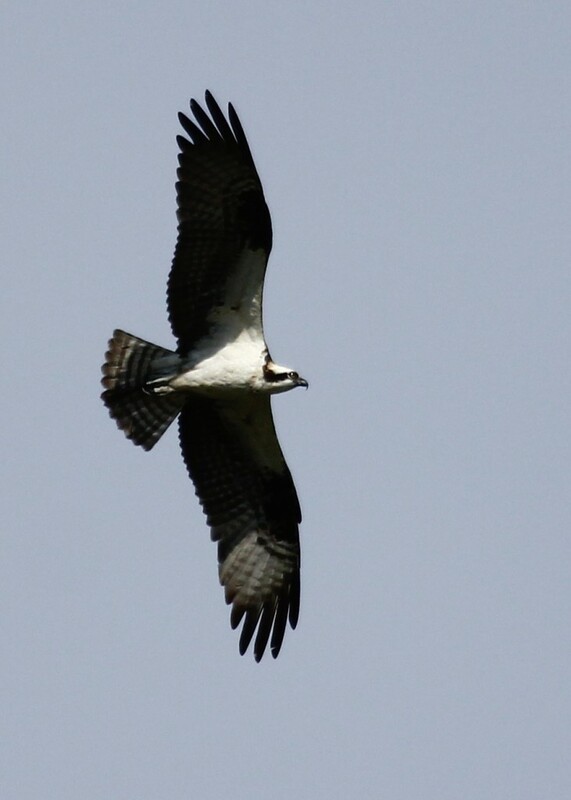 I had never seen one there before and I am thinking that this bird was making a stopover during its migration. I took a bunch of photos while the light was good and then afterwards, Tricia and I just relaxed, floating around the lake in our kayaks and enjoying the sunset. …then it would take off again in search of a meal. 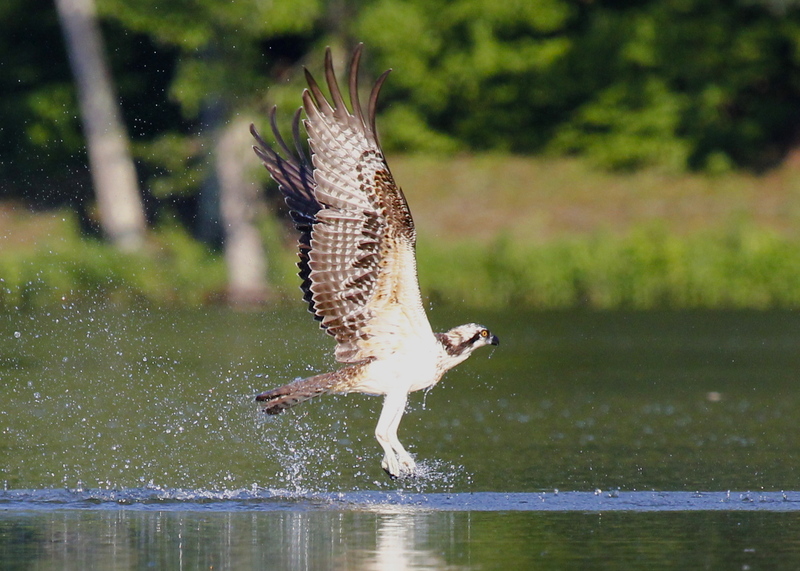 This Osprey did not catch a single fish while we were there, but none of the people fishing from the shore caught anything either, so maybe it wasn’t the bird’s fault. 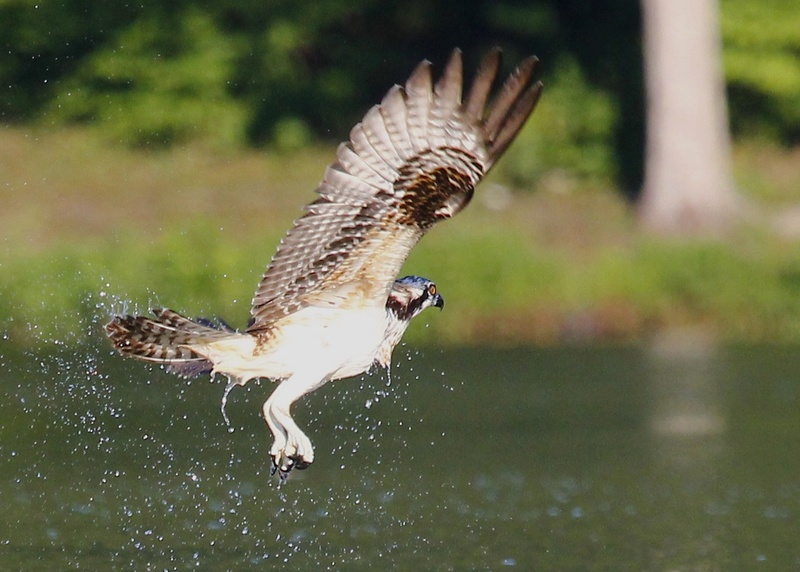 In this shot the Osprey is flying away from me, but I still like it – the water exploding off the bird and the talon all balled up. I’ve cropped all these images pretty heavily. While the bird was not very far away, as I looked at the photos I really wanted to convey what an up-close and intimate experience it was watching this bird . Yellow-crowned Night-heron, found by Bruce Nott at Masterson Memorial Park, 8/21/13. I just barely made it. I received a couple phone calls during the day, one from John Haas and then another from Curt McDermott, letting me know that Bruce Nott had found a YELLOW-CROWNED NIGHT-HERON at Masterson Memorial Park in New Windsor NY. 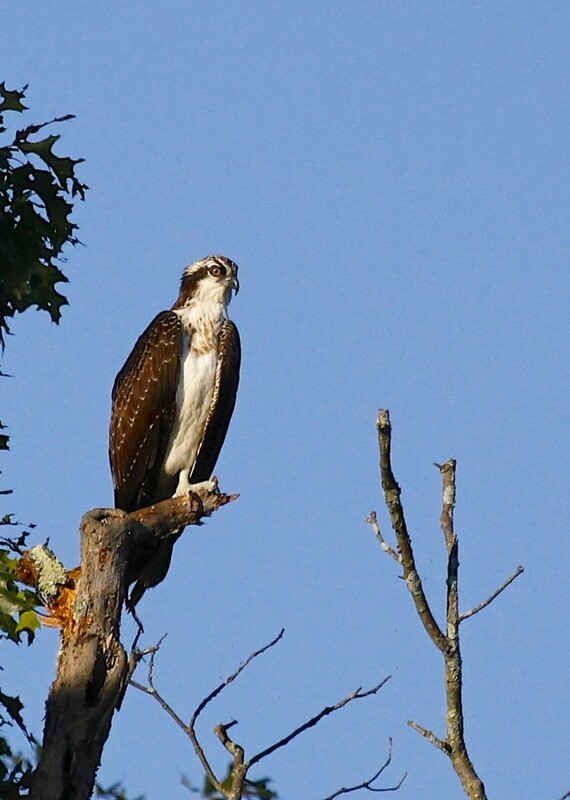 I was told that this is only the second recorded observation of this bird in Orange County! I arrived at the park a couple minutes before 4:00 and as I pulled in a park employee informed me that the park was closing. I jumped out of my car without really saying proper hellos to John, Bruce and Ken McDermott who were all there observing the bird. Bruce got me on the bird in my scope and I was happy that I didn’t miss it. Bruce then chatted with the park employee long enough for me to click a few photos. On my way out I noticed that you could still see the bird from the road. Not only that, it was definitely closer than where we were before. I parked my car up the street, walked back and took a bunch photos from the roadside. I am not thrilled with the results, but I did manage few decent shots. 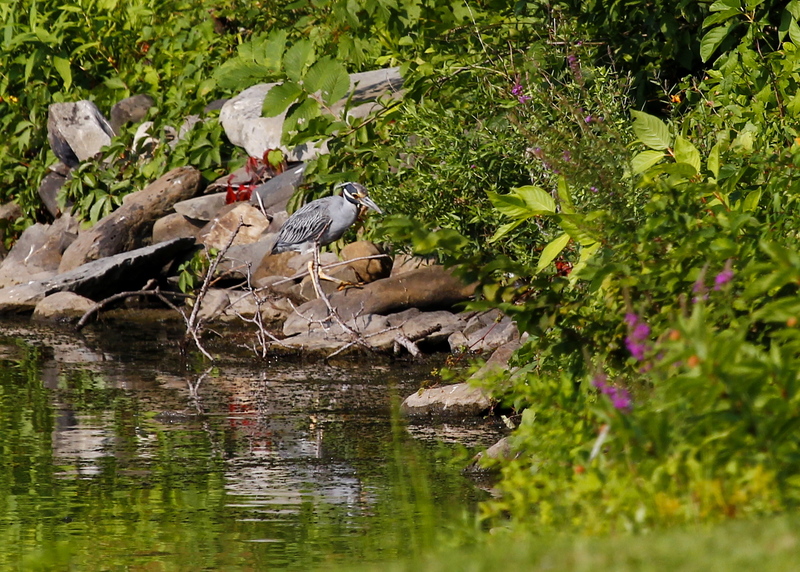 The bird was still quite distant, so all of these photos are heavily cropped. 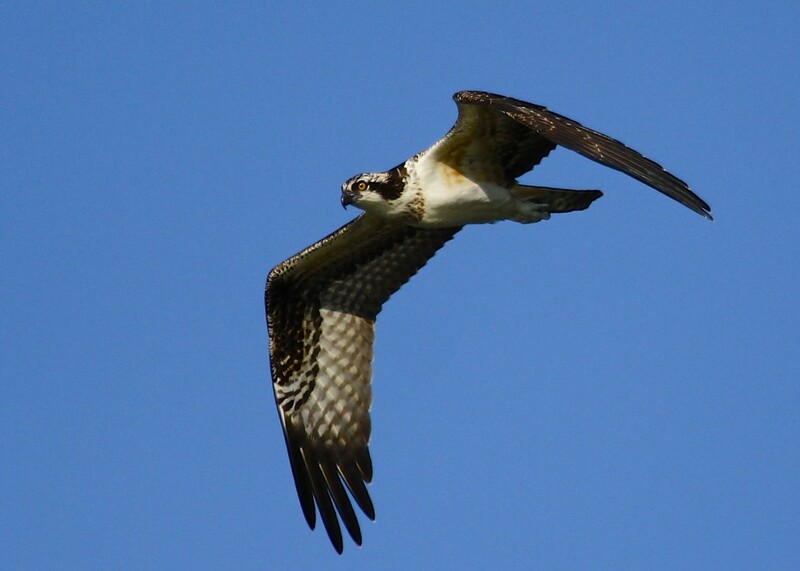 Huge thanks to John, Curt, and, of course Bruce – what a bird! 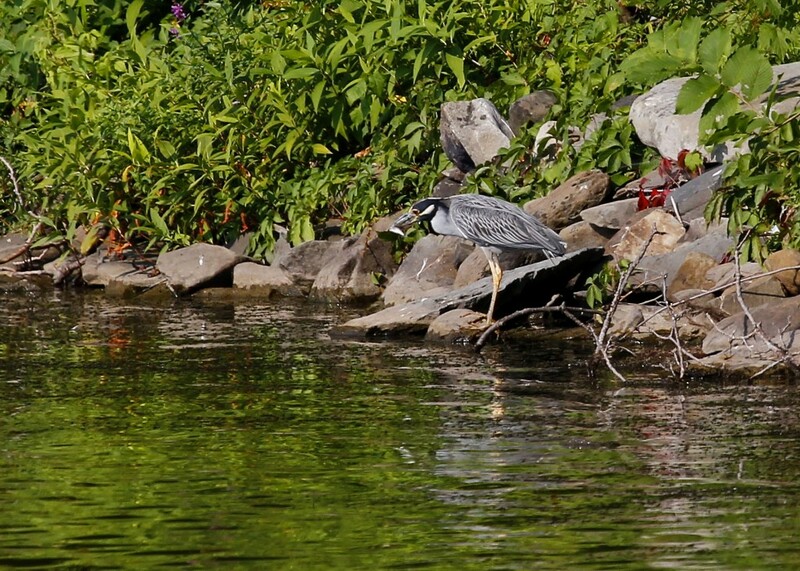 I love this shot – the reflections are nice and I like having three different species in the shot. 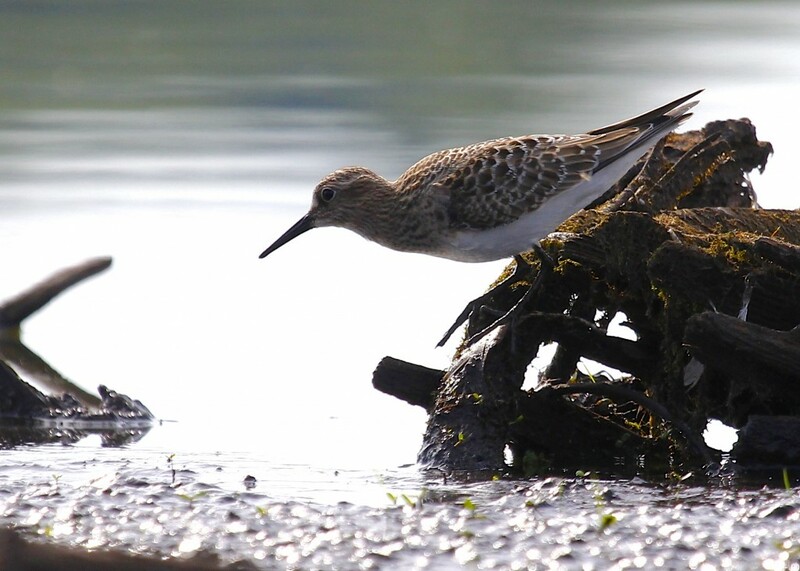 Front to back, Baird’s Sandpiper, Lesser Yellowlegs, Least Sandpiper. Morningside Park, 8/17/13. The second reason it was such a terrific morning of birding is how close you can get to the birds there. 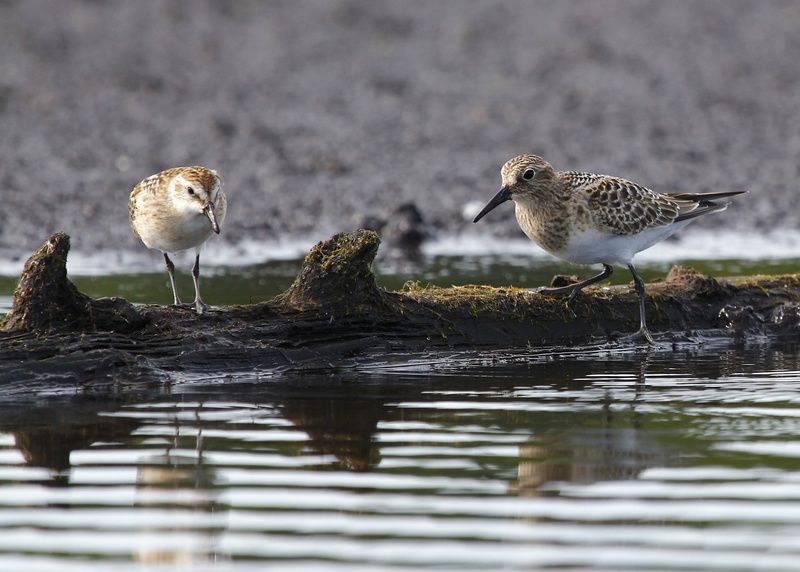 By moving slowly and smoothly in the kayak, you can get REALLY close to these birds. In fact, it kind of messed with me at first – I never get this close so my sense of size and scale was out of sync. I got fantastic looks at all the above species, and this also was a big help with getting some photos. 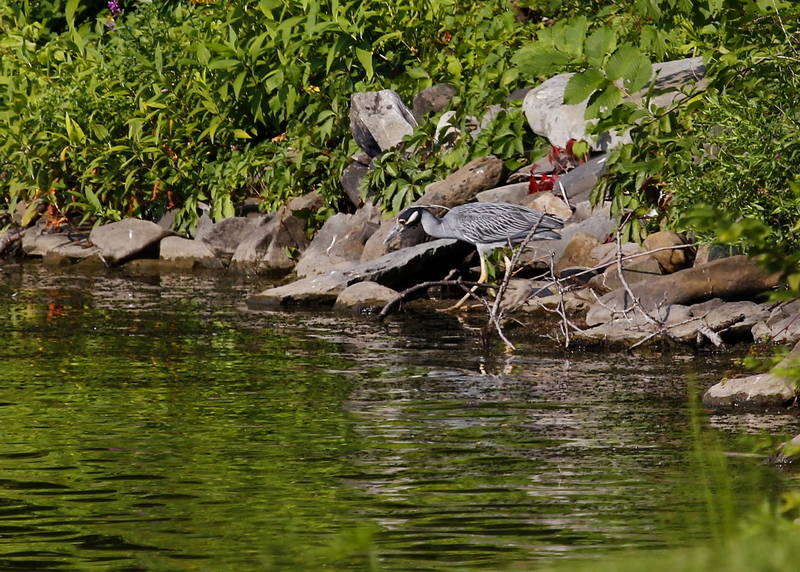 The third reason is that after I was there for about 40 minutes, John showed up in his kayak. It is always enjoyable to bird with John and I learned a great deal by both talking with him and by watching him as he systematically went through all the islands to make sure he did not miss a bird. His thoroughness and his dedication are inspiring to me. 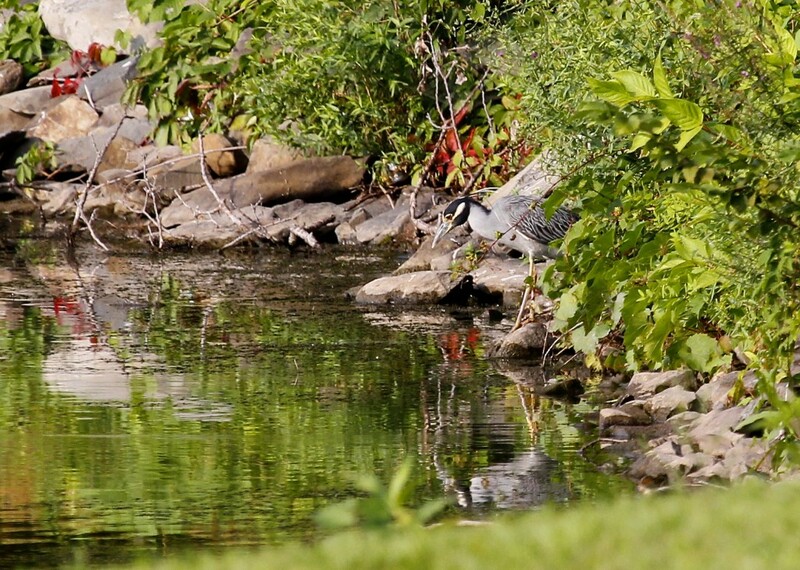 All these shots are from Morningside Park on 8/17/13. 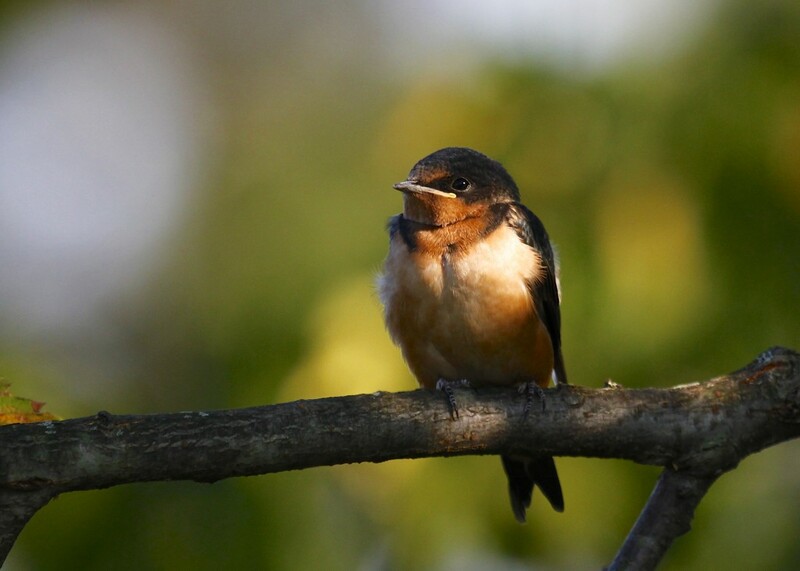 Sweet looking Barn Swallow out at Benedict Farm, 8/16/13. I’ve seen this pose before by other bird photographers and always thought it looked sweet. Two Lesser Yellowlegs at Benedict Farm, 8/16/13. 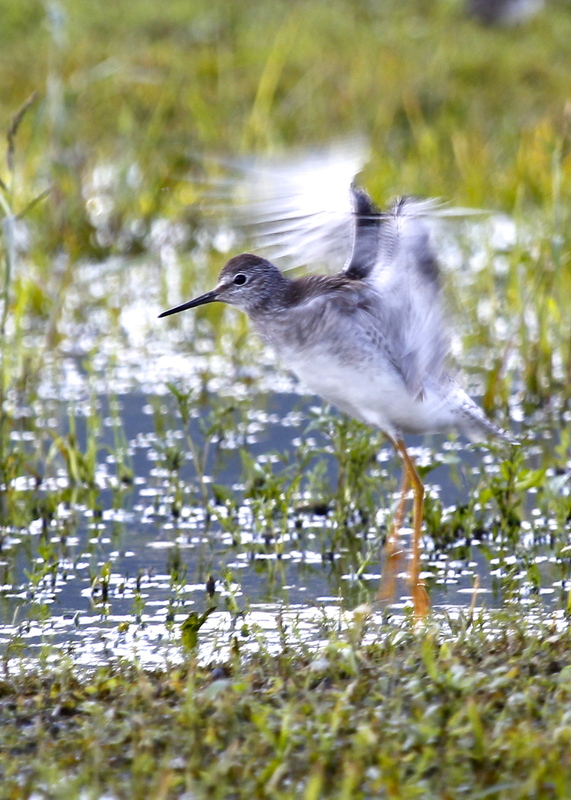 A Lesser Yellowlegs shakes it off. Benedict Farm 8/16/13. 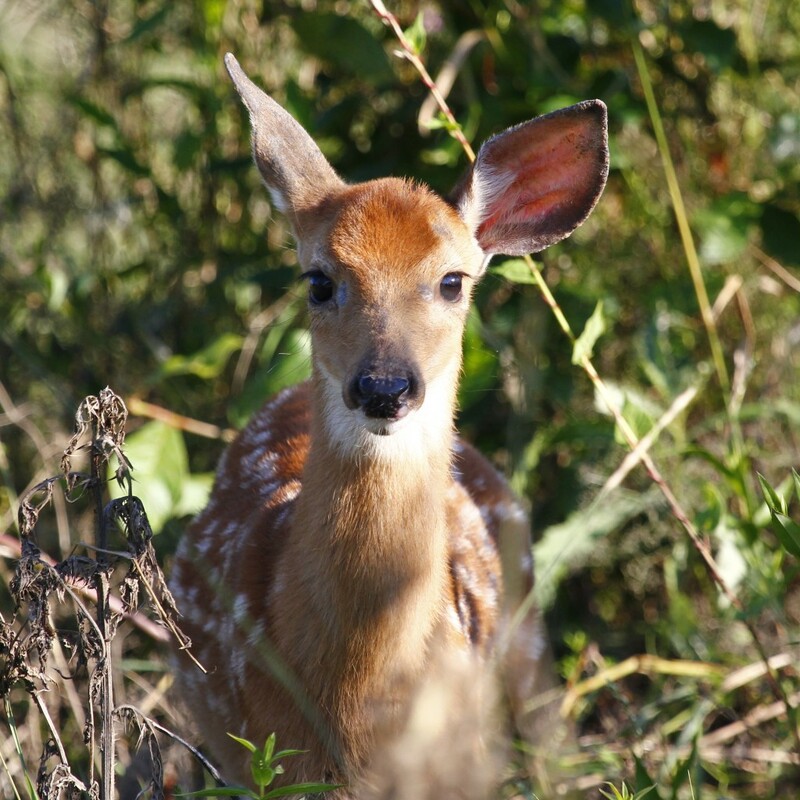 We had another pleasant surprise when I started photographing a fawn in the bushes: Instead of fleeing like most fawns, this one decided to walk out onto the trail and come right up to me! It was like a pet dog, licking me and letting me pet it all over. 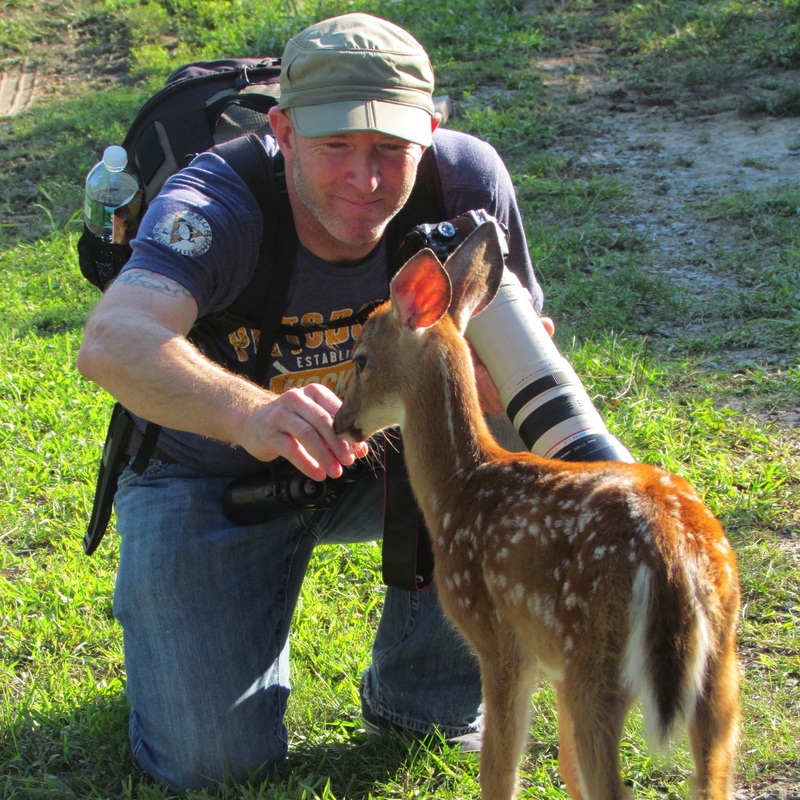 As Karen and I birded, the little fawn followed us around, right at our feet. It was an incredible and unique experience but it was also a bit concerning to me. This fawn seemed to be alone in the world and I wondered how it would make out. As we headed out, the little fawn followed us until we got a bit closer to our cars and it turned back. This is when we first met – let the licking begin! Great photo by Karen Miller. I now believe this bird is likely to be a Black-bellied Plover. Skinner Lane, 8/14/13. I spent the day thinking about my ID of this bird, so I made it back out to Skinner Lane tonight to try and get a second look. Luckily, the bird was present. 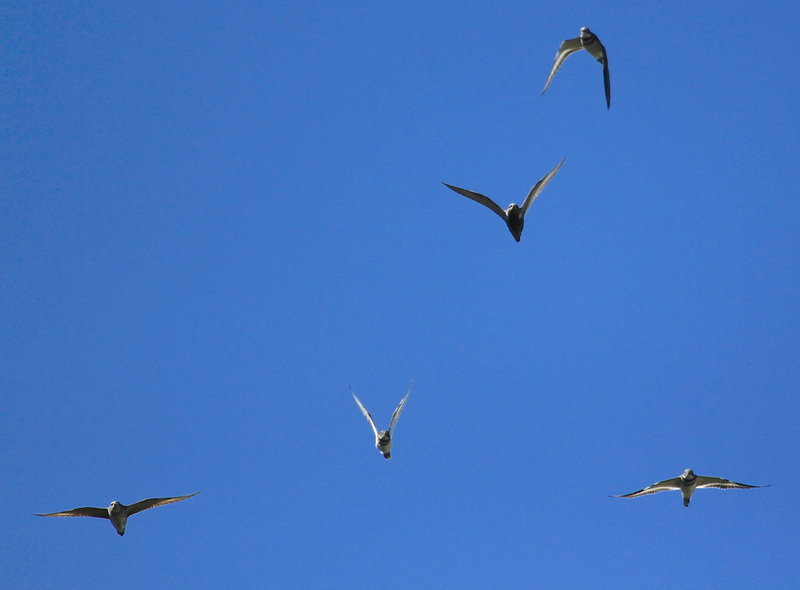 I watched the bird in my scope for a long while when finally all the shorebirds lifted up. This gave me a chance to bird in flight – revealing black armpits. This leads me to believe the proper ID of this bird is likely a Black-bellied Plover. 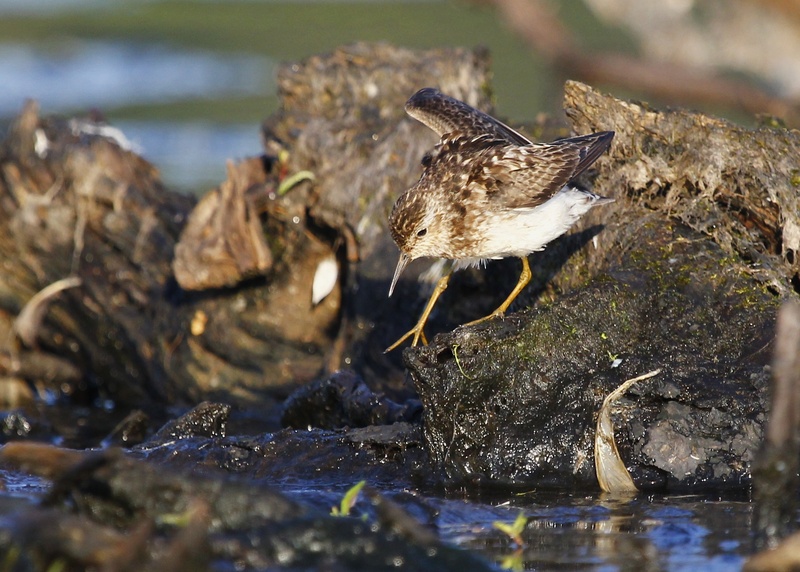 I feel very fortunate that this bird stuck around so I could get another look and hopefully get it right. 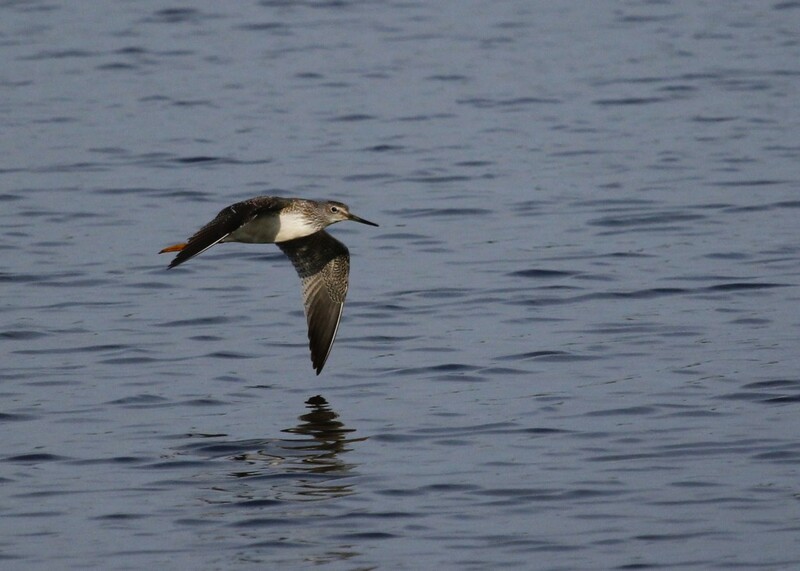 This has been yet another learning experience on the road to hopefully becoming the birder I aspire to be. It’s rare that I don’t have my camera with me, but tonight I did not. This shot was taken with my iPhone with Meopix apdapter on my scope. 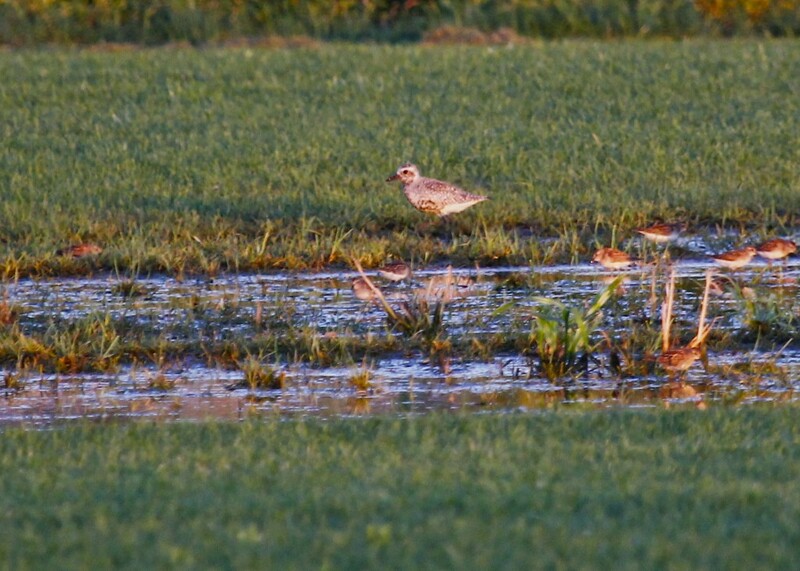 American Golden-plover at Skinner Lane 8/13/13.